Pocky manages to occupy a pretty enviable spot in the pantheon of Japanese snack foods. The chocolate-covered sticks are sweet enough to be loved by kids, but they also have an elegantly understated look and aren’t super sugary, which means adults can also enjoy them while maintaining a level of sophistication. As a matter of fact, many grown-ups enjoy pairing Pocky with alcoholic beverages, so Glico came up with the Pocky Goddess Ruby: a Pocky that is supposed to be enjoyed while sipping on red wine. The Goddess Ruby was created to enhance your wine-drinking experience without containing any wine ingredients itself. The pretzel stick core is flavored with cheddar cheese, black pepper and cloves, while the bitter chocolate coating is infused with three types of berry flavors, making for a collection of spicy, sweet, and bitter notes that reflects the complexity of high-quality red wines. Goddess Ruby goes on sale October 24, 2017. 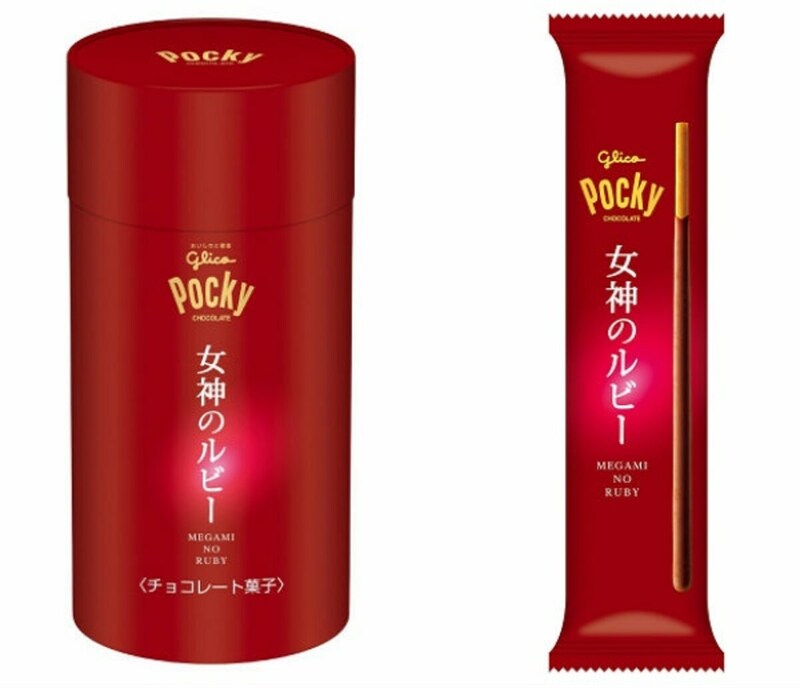 And while it’s not being sold exclusively online, Glico says that the easiest place to get ahold of the red wine Pocky will be Amazon Japan, where orders can already be placed here for ¥998 (US$9.10) for a container with six individually sealed pouches.